Sound confusing? There’s truth in both sides of this debate. Your child will indeed learn from the things she plays with—and with a variety of toys to tinker with, she’s bound to learn a lot. However, many parents spend too much money buying toys, only to have their child lose interest in state-of-the-art playthings three or four days later. New Technology or Old Standards? You may think that getting your child a collection of cutting-edge electronic toys could give him a leg up in today’s wired world, but playthings boasting flashing lights, sounds, moving parts and music could actually damage your budding learner’s developing ability to imagine and manipulate. 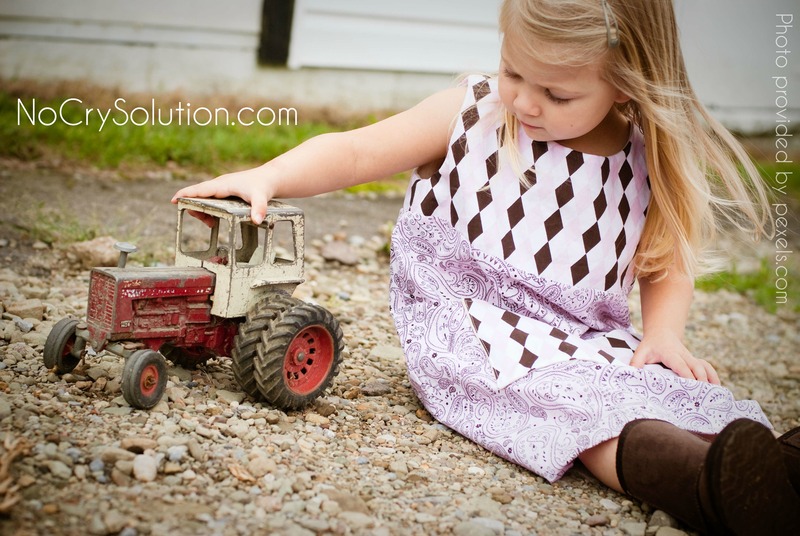 If a toy does everything by itself, it loses its potential as a tool for developing creativity. Also, if your little one gets used to these toys, then simple pleasures like building blocks seem boring by comparison—and those simple toys are among the very best for playtime. Long-term play value. Ask yourself: Will this hold my child’s attention for more than a few weeks? If the answer’s no, shelve it. You’d be much better off giving him a plastic bowl and wooden spoon. Durability. It’s crucial that your purchase will hold up when sat on, thrown, jumped on, chewed on, or banged. Solid simplicity. Examine the toy from your little one’s viewpoint. 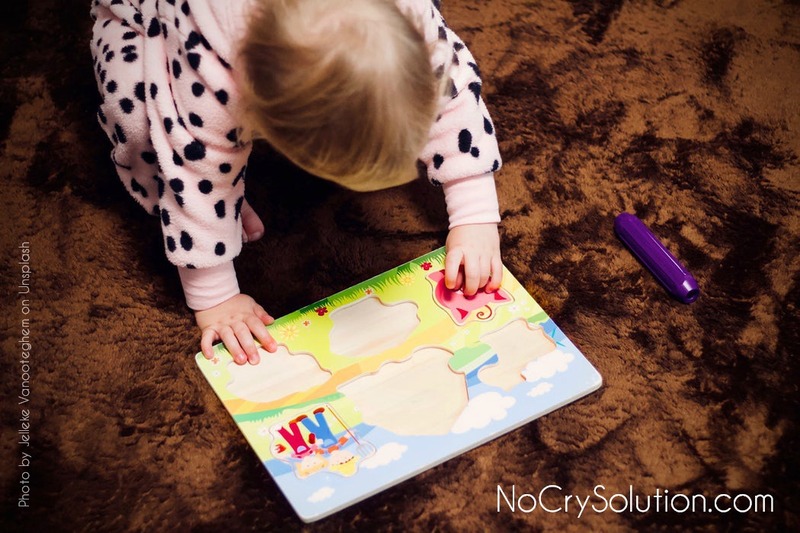 Babies don’t need complicated toys, so avoid over-stimulation be sticking with something simple. Interactive-ness. The only way to benefit from play is to get involved! Does a toy engage your child—or just entertain him as he watches passively? It’s best if he’s an active part of the learning process. Versatility. Can your child play with this toy in more than one way? A set of plastic animals can become a farm, a zoo, a tool for sorting by color, size or type, decoration for a block structure, or the characters in a story…the possibilities are endless. Washability. Between the sandbox, a grassy park, a messy high-chair tray and everything in between, well-loved toys tend to get very dirty! Pick an option that’s easy to clean so you can keep your child germ-free and healthy. Fit with your family value system. Does this toy reflect your family’s values? For example, is the material friendly to the environment or locally produced? Are you comfortable with what the toy represents? Novelty. Variety is a tried-and-true way to hold attention, so mix up the toy box! Fun appeal for you, too! As a parent, the call of duty requires you plop down on the floor to play—so make sure that many of the toys you own entice you to play along. Throughout childhood, play will have a central role in shaping your child’s development, honing important skills and setting a foundation for a lifetime of learning. Shop for toys using these tips and you’ll ensure your child gets the most benefits toys have to offer.